In an Ancient Faith Radio reflection, Fr. Peter Gillquist remembers Fr. Jack as one who lived a full, rich life of service to the Church and to his family. Martha H. Kickel, 81, of Donora, Pennsylvania passed away on Wednesday, Jan. 27, 2010. Mrs. Kickel was born in Donora on Oct. 8, 1928, a daughter of the late Michael and Nasta Mehan Hanna, and was a lifelong resident of Donora. She was a graduate of Donora High School. Prior to her marriage, Mrs. Kickel was employed at the United States Steel, Donora Works, as a mail clerk. She was a well-respected and well-liked bank teller at Mellon Bank in Donora, where she developed positive and friendly working relationships with customers and co-workers. Mrs. Kickel was active in the community as a member of the Forecast Club and Donora Youth Athletic Association Parent Booster Club. She was a faithful member of St. Michael Orthodox Church of Monessen, Pennsylvania, where she was a member of the St. Michael's Ladies Club, a former Sunday School teacher, Parish Council member, and publicity chairperson for the Ladies Club. She was an inspiration to all who knew her. Martha enjoyed baking Syrian food, especially Syrian Bread and Kibbee, vacationing in Myrtle Beach, and spending time with her five beautiful grandchildren, who loved their "Grammy" very much. She loved watching her grandchildren participate in sports, music, and dance. Most recently Martha traveled to the Florida Keys with her family. She was preceded in death by her husband, George J. Kickel, with whom she celebrated 50 years of marriage on June 30, 2006; a sister, Mary Mehan; and three brothers, George and Joseph Mehan, and Michael Hanna. She is survived by a son, George M. Kickel and wife, Kimberly, of Erie; a daughter, Cynthia M. Magone and husband, Frank, of Monongahela; and five grandchildren, Michael, Corrine and Christopher Kickel, and Elizabeth and Alexandra Magone. She is also survived by three nieces and a nephew. Mrs. Kickel was a loving and devoted wife, mother, grandmother, and a caring friend to all who knew her. Friends will be received on Saturday, Jan. 30, from 7 to 9 p.m. and on Sunday 2 to 4 and 7 to 9 p.m. at the JAMES A RABE FUNERAL HOME INC., 701 Thompson Ave., Donora (724-379-9020). 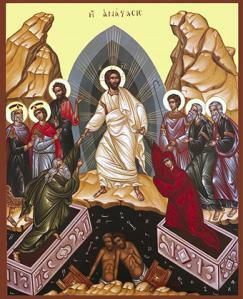 Trisagion prayers for the departed will be held on Monday, Feb. 1, at 9:15 a.m. in the funeral home followed by a funeral service at 10 a.m. at St. Michael's Antiochian Orthodox Church in Monessen with the Rev. Fred Pfeil as celebrant. Interment will follow in Monongahela Cemetery. Trisagion services will be held Sunday evening at 7:30 p.m. May her memory be Eternal! 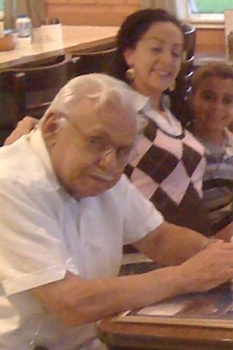 Family and friends may view the obituary and offer online condolences at www.rabefuneralhome.com. MINNEAPOLIS, MN [OCA] -- Resa Ellison, choir director at Saint Mary Cathedral here, fell asleep in the Lord on the afternoon of Sunday, January 3, 2010 after a two month illness. The daughter of the Rev. 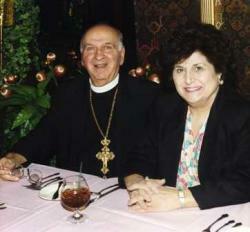 James and Linda Ellison of Saint Nicholas Antiochian Orthodox Church, Urbana, IL, Resa was admitted to Unity Hospital, Fridley, MN, on Sunday, November 8 after being diagnosed with H1N1 and an aggressive form of pneumonia. By November 18, as reported in a request for prayers on the web site of the Orthodox Church in America, her condition had become grave. Breathing with the assistance of a ventilator, she remained in an induced coma. In late December, she was transferred to the University of Minnesota Hospital, Minneapolis. The Very Reverend George N. Khouli, 56, passed away Friday, January 1 in Jefferson University Hospital, Philadelphia, Pennsylvania. He was married to Kh. Nadia (Hanna) Khouli. Born in Zwaitini, Syria, he was a son of Nicholas and Halloun (Nehme) Khouli. Rev. Khouli was an Antiochian Orthodox priest, serving at St. George Orthodox Church in Upper Darby, PA and also assisted with services at St. George Orthodox Church, Allentown. Survivors: Wife; daughters Naila and her family of Dallas, TX, Norfen and her family of Philadelphia, Nibal, Helen and son Nick all of Allentown; brothers Walid, Michael, Tony, Gus and Raymon; sisters Georgette Salloum and Romanda Shammas; grandchildren Angela and Christopher (Nailas) and Marcus and Maria (Norfens). Services: Divine Liturgy, Tuesday, January 5 beginning at 10 a.m. followed by a funeral service in St. George Orthodox Church, 1011 Catasauqua Ave., Allentown, Pennsylvania. Calling hours, Monday, January 4, 7-9 p.m. with funeral service at 7 p.m., in the church. The Khouli family is being served by the Nicos C. Elias Funeral Home, Allentown. Contributions: The family requests donations to the church in lieu of flowers. SYOSSET, NY [OCA Communications] -- On Friday, December 18, 2009, His Eminence, Archbishop Job of Chicago and the Midwest unexpectedly fell asleep in the Lord. St. George Antiochian Orthodox Church of Orlando, Florida sadly learned of one of it's founders passing away this past Saturday, December 5th, 2009 after a sudden illness. Harvey Reich over 40 years ago saw a vision in Orlando that together at the time with a small group of Orthodox Christians founded St. George's. Harvey at the time was married to the daughter of the late Fr. Razook, of Boston, MA. Together, Harvey Reich, his then wife Evelyn, Sam & Mary David and a small group worked day in and day out to establish the church. For many years Harvey was a very popular figure amongst the Lebanese & Syrian community in Central Florida. He was one of the first individuals to be welcomed as a member of the Lebanese Club of Orlando, who wasn't Lebanese, but rather Jewish. Harvey, after many years of prayer, converted to the Orthodox Christian Faith. In fact his God- mother was the late Alyce Hamatie, of Brooklyn and Orlando. When the news of his passing was announced, the entire community of Orlando felt a genuine loss. The community is still feeling the fresh sorrow of the loss of +Alyce Hamatie, a true pioneer of the parish, who passed away just 8 months ago at the age of 97. A memorial service was held this past Monday evening at St. George's in Harvey's honor, with many old and new friends in attendance. Harvey left behind his loving children, grand-children, many adoring friends, but mostly a legacy. All who knew him, knew that Harvey had a smile and a presence like no one else. As his eldest daughter Avah shared, he was an inspiration for a generation of many wonderful people, and he lived a full life having the best friends anyone could wish for! God Rest His Soul. 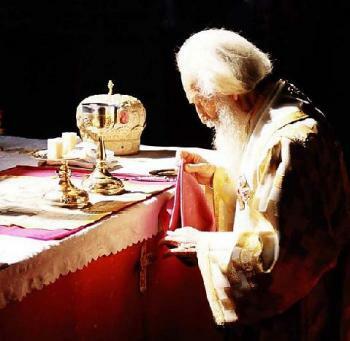 His Holiness PAVLE (Paul), Archbishop of Pec, Metropolitan of Belgrade and Karlovac, and Patriarch of the Orthodox Church of Serbia, reposed on Sunday, November 15, 2009 at the age of 95. The Patriarch was born Gojko Stojcevic on September 11, 1914 at Kucanci, a village which was then part of the Austro-Hungarian empire but is now in Croatia. After attending the Fourth Male Gymnasium in Belgrade, he studied at a seminary in Sarajevo. During the Second World War he took refuge in a monastery at Ovcar, and then returned to Belgrade, where he briefly worked in the construction industry. In 1946 he became a monk at Blagovestenje monastery in Ovcar, taking the name Pavle (Paul). For 11 years he lived as a monk at the Raca Monastery in central Serbia, and from 1950 lectured at the Prizen Seminary in Kosovo. From 1955 to 1957 Pavle studied Orthodox Theology at the University of Athens, where he discovered a particular gift for liturgics – he was later to become one of the most prolific liturgical writers in the Serbian Church. On completion of his studies he was elected Bishop of Raska-Prizren (the diocese includes Kosovo), remaining in that post for 33 years until his election as Patriarch on December 1 1990. Pavle had by this time experienced at first hand the hatred that was to consume the former Yugoslavia: in 1989 he had been beaten up by a group of Albanian youths in Kosovo, receiving injuries that required three months' hospital treatment. 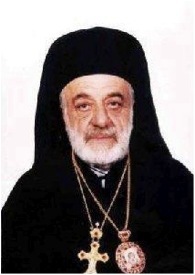 It was with much sadness that we received the news of the falling asleep in Christ of our beloved brother, His Grace ELIAS (Najm), Bishop of Apamea, and Abbot of St. Elias Monastery in Dhour Shweir, Lebanon. His Grace was born in the village of Agmeed Shouf, Lebanon. He came from a priestly family. His father was a priest in the town of Bhamdoun, Lebanon. At the age of 14, he enrolled at the Balamand Seminary. After 5 years at the Balamand, he was sent by the late Patriarch ALEXANDER III (Tahan) to the school of Halki, Turkey, where he studied theology. After graduation he returned to the Patriarchate of Antioch, and was appointed Abbot of St. Elias Monastery where he served until his repose. He was very friendly, humble and loved by all people. We ask our brother hierarchs and beloved clergy and all faithful of this Archdiocese to remember him in their fervent prayers. We extend our deepest sympathy to his family and relatives. May his memory be eternal, and may his soul rest in peace. 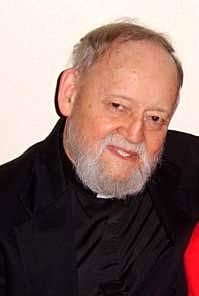 Archimandrite Gabriel Cooke, former pastor at St. Michael/Seattle, WA and St. George/Portland, OR, died in medical retirement this past Thursday, September 10th, 2009, at his home in Prescott, AZ after suffering a second massive stroke. Prior to his release to the OCA in 1997 and his monastic tonsure he was known by his worldly name of "Jeffrey" when a seminarian at St. Vladimir's Seminary in the mid-1980s and as "Father Gregory" when a priest of the Antiochian Archdiocese (1987-1996). 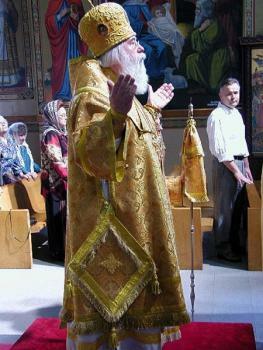 Archimandrite Gabriel will be buried this Thursday, September 17th, at St. Spyridon Cathedral in Seattle, WA; presiding will be His Grace BISHOP BENJAMIN of the OCA Diocese of San Francisco and the West.